From 10 to 14 January, the capital of Kazakhstan hosts the grandest sports event of the season – the 2018 Week of Hockey Stars. KHL.ru is proud to reveal some of the surprises which await those who are lucky enough to attend the event. Fans everywhere are doubtless aware that last year the League introduced fresh changes to the All-StarGame format, and now the event forms part of a Week of Hockey Stars featuring the finest players from the Kontinental, Youth and Women's Hockey Leagues. From 10 to 14 January in Astana, spectators will not only be treated to a feast of hockey, but also a variety of activities created so that everyone can take part in the festive atmosphere. Before even stepping inside the Barys Arena, visitors and locals alike can get into the carnival spirit. On the stadium's exterior will be broadcast highlights of past All-Star Games, promo videos for the Week of Hockey Stars, important announcements of forthcoming events in the packed program of hockey, as well as a selection of the best photos uploaded by fans' to social networks with the hashtag #KHLAllStar. This competition for fans, using the official hashtag, will continue for the entire week of celebrations, and those who submit the best images will win exclusive prizes, to be presented at the end of the games. Visitors can also get a taste of Kazakh history and culture. Just yards from the main entrance will be a Yurt, the traditional dwelling of the Steppe nomads, where there will be photo sessions and information on all the activities of the Week of Hockey Stars. And once entering the Barys Arena, everyone can find something fun to do. In the lobby alone, there are more than 15 different entertainment zones. Spectators can become the heroes of their own live broadcasts, sharing their opinions and impressions with all those arriving at the event. For those who love to paint, there will be giant collages designed so that children and adults can show off their artistic skills. Youngsters will be treated to hockey master classes, and there will also be a children's hockeyrink. 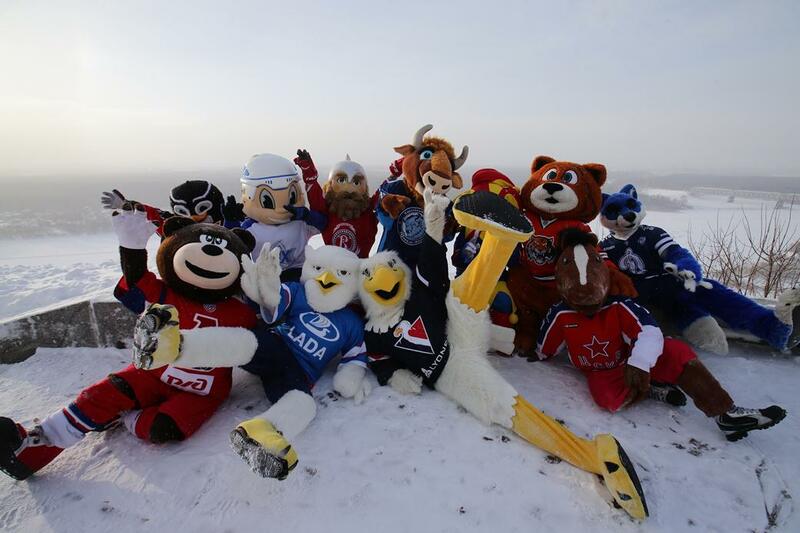 On January 13 and 14, there will be a hockey tournament featuring all the KHL club mascots, who will also be conducting hockey exercise sessions nearby. And in order to fully show support for your favorite players, you can visit the face-painting zone, where you can have your allegiances adorn your forehead or cheeks. In a busy weekend schedule, the mascots have been tasked with taking the celebrations to other parts of the city. On Saturday, they will visit the Nur Alem Exhibition Complex and will take part in a fun hockey game with a children's team. Then, on Sunday morning, the mascots go to the SOS Children's Village, to bring the festive atmosphere to yet more children, and then they will dash back to the Barys Arena to make sure not a single young fan misses out on the fun. 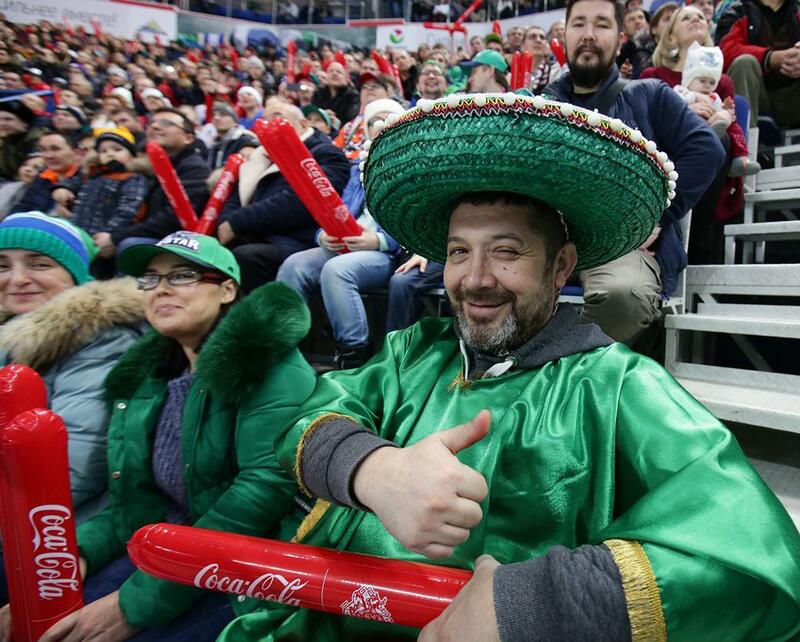 For several seasons now, Mastercard has delighted supporters of the KHL with the popular Priceless Fan event, and on January 13 and 14 it will return in a special format. 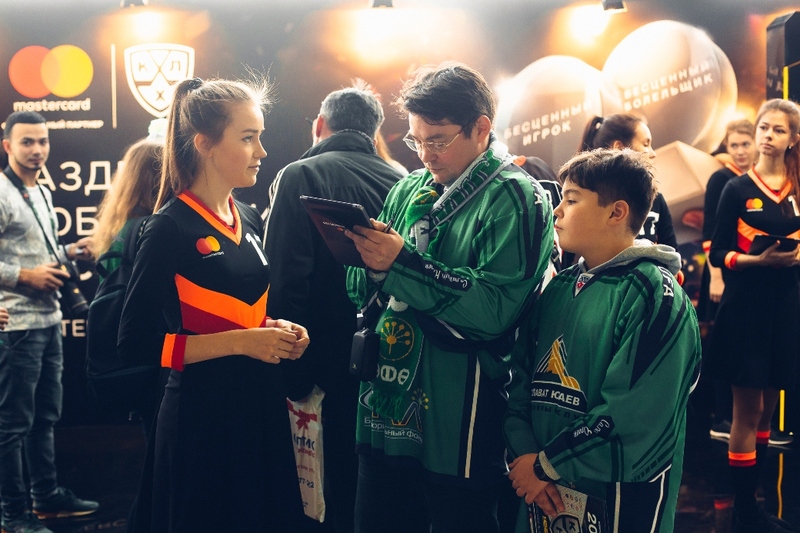 In the Request Zone at the Mastercard Stand, any visitor can record their own video request to their favorite player, the best of which will be shown on the Barys Arena mediacube. A super experience awaits the fan who records the best message – they will be named the Priceless Fan, and will be on the ice to help present the Priceless Player award to the hockey star who received the most video requests. At the Mastercard Stand in the arena foyer, fans will be able to take part in interactive events and receive mystery prizes, and everyone is a winner - no holder of Mastercard will leave empty-handed. Amid all the various fun activities, hockey is still the name of the game, so fans will be able to test their own mastery of puck and stick. In the Virtual Reality zone, fans can play hockey with special VR glasses, and there is much more for lovers of winter sport — table hockey, auto-hockey, air-hockey, a shooting zone, and a hockey simulator from Mastercard. At the weekend, for fans arriving early at the Barys Arena for the Master Show and the KHL All-Star Game, there will be an autograph-and-photo session in the foyer with stars of Russia's glorious hockey past: Boris Mayorov, Yury Lyapkin, Stanislav Petukhov, Alexander Pashkov, Alexander Martynyuk, Yury Shatalov and Alexander Volchkov. The KHL's partners, Sereal, will be providing free cards for the autograph session. For fans seeking souvenirs, they can buy them from no fewer than nine outlets at the arena. All the souvenirs are adorned with the official logos of the Week of Hockey Stars, the WHL All-Star Game, the YHL Challenge Cup, and the KHL All-Star Game. At the League's stand, Panini hockey card collectors will be able to acquire the official albums for the new season, and fans can also buy at the Barys-Arena unique soft magnets, bearing the fans' own photos, made to order and ready in minutes. At the KHL All-Star Game Locker Rooms installation, the Bauer company invites fans to have their photograph taken in an All-Star team uniform, and after a short wait, the delighted fan receives a commemorative magnet bearing the photo and the KHL logo. Before all four star-studded tournaments at the Barys Arena there will be a spectacular pre-match show, and each will be on the theme of space travel. The audience will be taken on a trip through the hockey galaxy, where many exciting stories await. Cosmic special effects and a breathtaking multimedia show will help create a unique atmosphere. 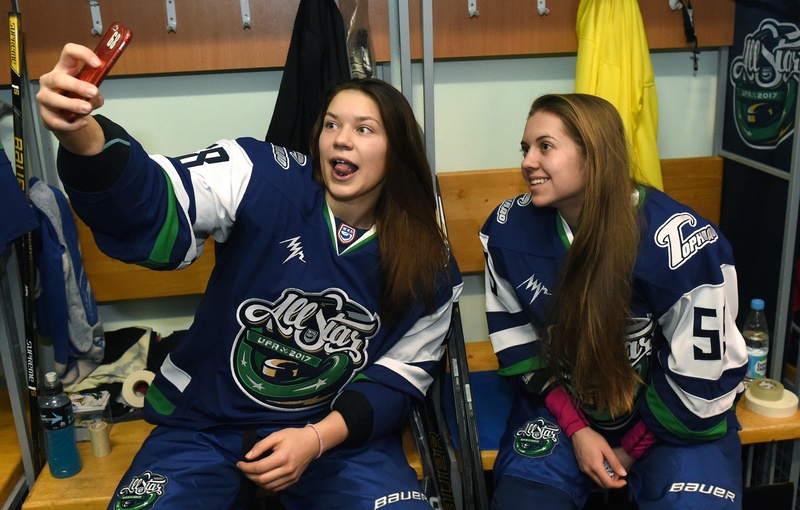 The Week of Hockey Stars, in Astana opens on January 10 with the Women's Hockey League (WHL) All-Star Game, where the teams will be joined by guest players from Kazakh hockey teams Aisulu Almaty and Tomiris Astana, and in the intervals the women will compete in the WHL Master Show. On January 11, Youth Hockey League (YHL) Challenge Cup, which will keep the traditional format of East versus west. A fierce and uncompromising battle is expected, because, as with last year, the four finest young players will be given a place with the senior stars in the KHL All-Star Game. The grand finale at the 2018 Week of Hockey Stars will be the traditional Master Show and All-Star Game – now a mini-tournament contested by teams representing the four divisions of the Kontinental Hockey League. The Master Show will also be held in the four-division format, and will test the players for skill, strength, speed, virtuosity, creativity and sense of humor. 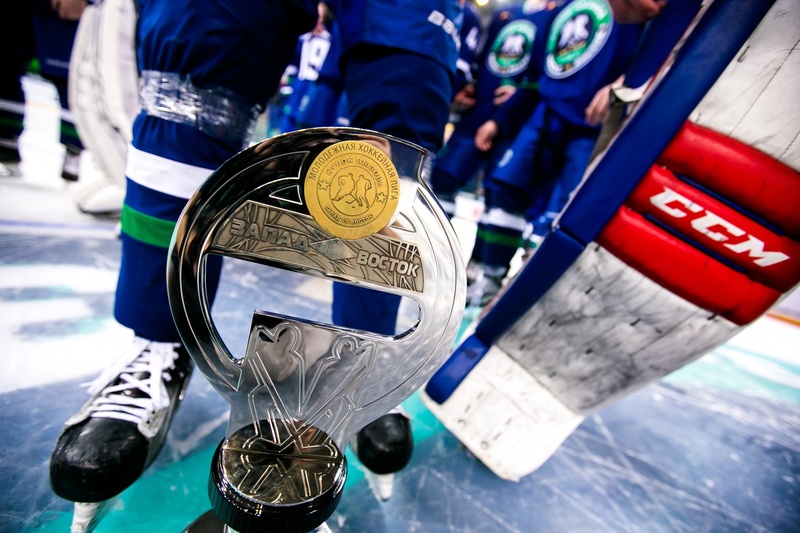 Sunday's KHL All-Star Game will consist of the mini-tournament, the climax of which is the decisive match for the gold medal. The excitement is not merely limited to events on the ice, but also on the team benches, where the Division teams' highly experienced head coaches will be assisted by beautiful young women from the world of TV presenting, and the event will be attended by cosmonauts and heroes of Russia. The WHL All-Star Game on January 10 will be shown on both KHL channels, the YHL Challenge Cup on January 11 will be broadcast on KHL TV, and each will also be covered event will be broadcast on the Women's and Youth Hockey League official websites. 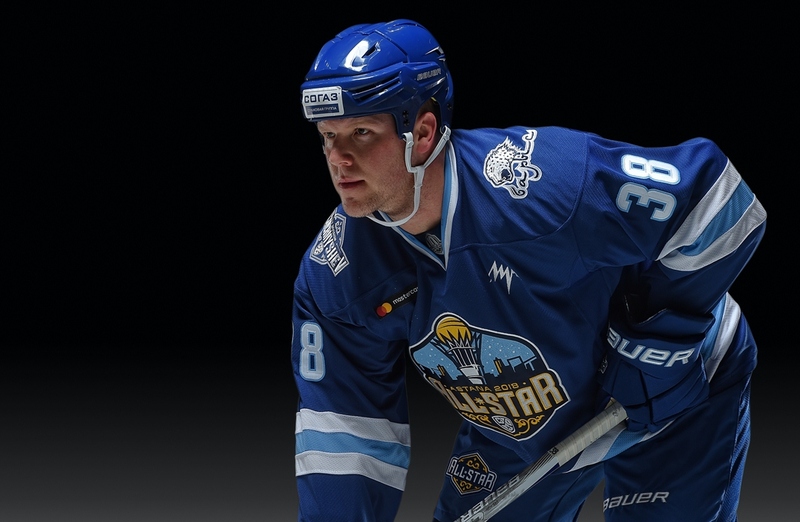 The Master Show on January 13 and the KHL All-Star Game on January 14 will be shown live on Russia's Match TV channel, KHL TV, and KHL TV HD, as well on the official Kontinental Hockey League and Week of Hockey Stars websites. 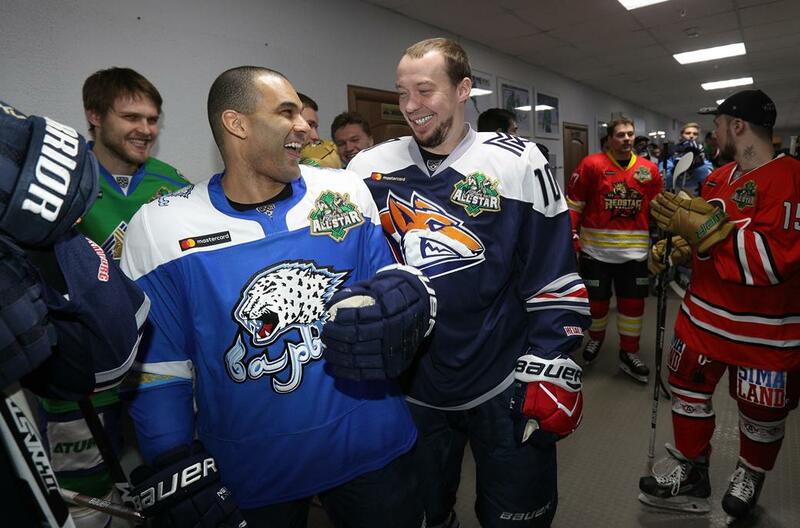 Fans can exchange views on the All-Star Game on social networks byusing the hashtag #KHLAllStar. We look forward to seeing you all at the arena or via the TV screen at the biggest hockey show of the season!